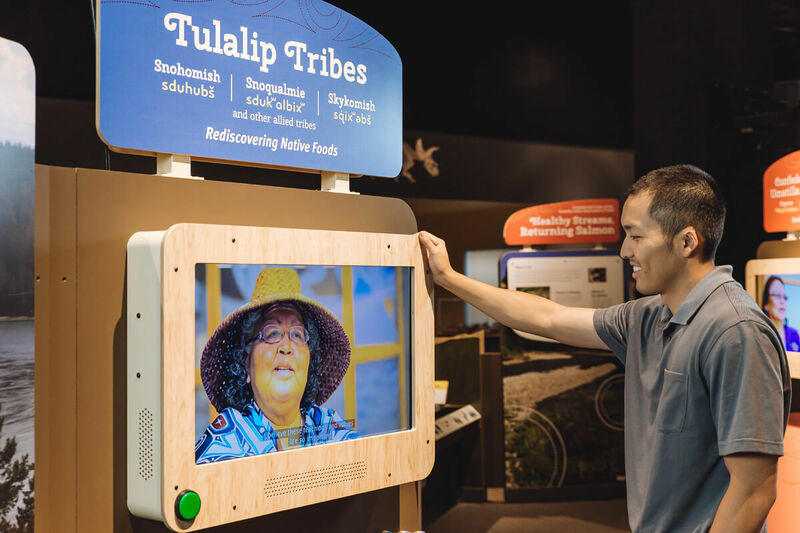 Roots of Wisdom helps visitors discover how diverse Native American and Hawaiian cultures are improving the world using their traditional knowledge in conjunction with cutting-edge, western science and technology. Every step of the process, we're here to answer any and all of your questions. Now more than ever, populations across the globe face serious challenges meeting basic human needs in maintaining sustainable food supplies, clean drinking water and healthy communities. In Roots of Wisdom: Native Knowledge. 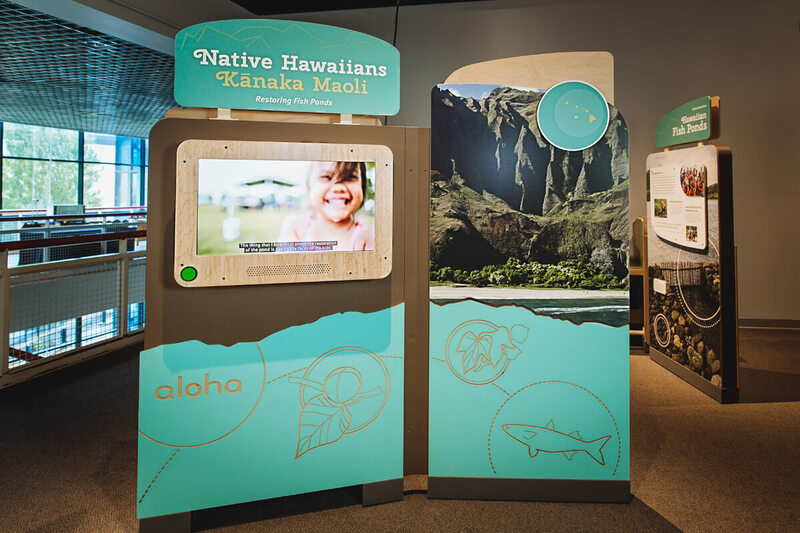 Shared Science, visitors learn how diverse Native American and Hawaiian cultures are using their traditional knowledge in conjunction with cutting-edge, western science and technology to successfully restore waterways, help save endangered species, solve health problems, and revitalize cultural practices. 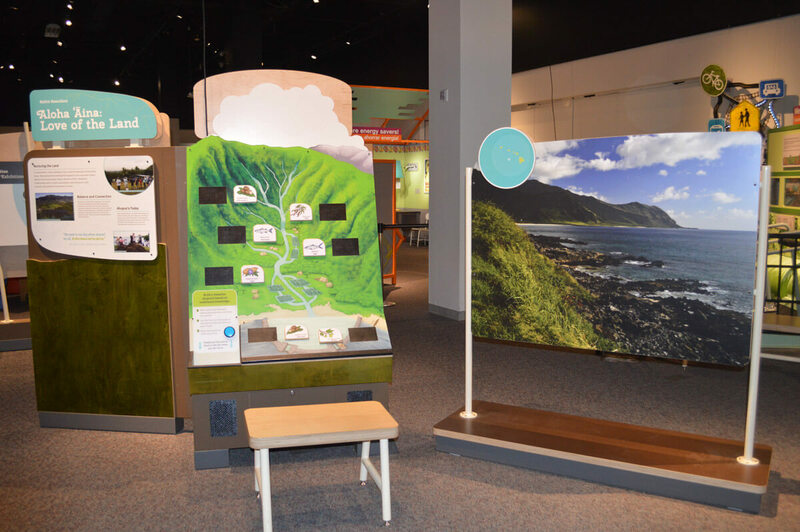 The exhibition shares the stories of four communities giving visitors inspiring, real life examples of how complementary solutions to ecological and health challenges are being applied to improve our world. 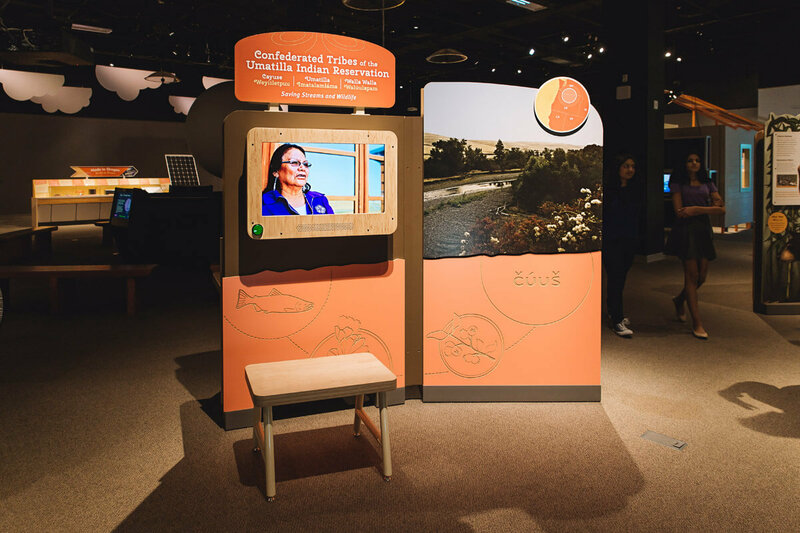 Through the voices of elders and youth, storytelling, hands-on interactives, multimedia and graphics, visitors take part in the growing movement towards sustainability and reclamation of age-old practices. 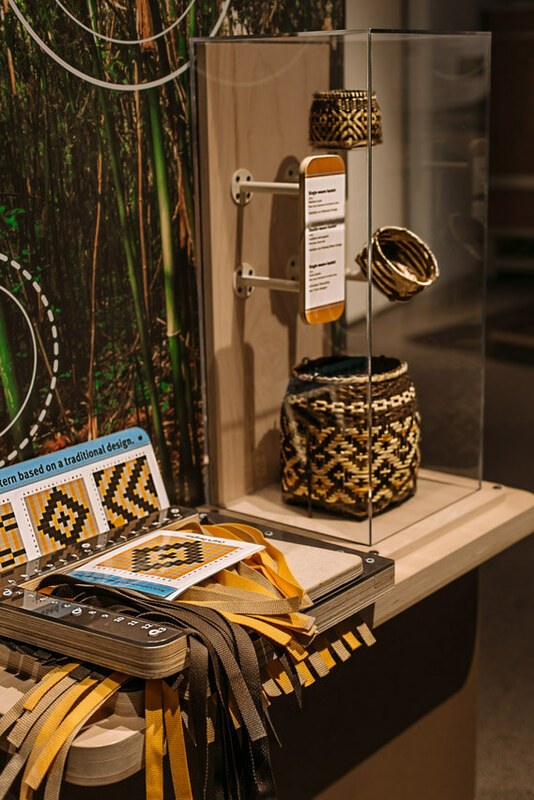 Native Origins—Native discoveries and innovations have been used and adapted over time and touch the lives of people all over the world. 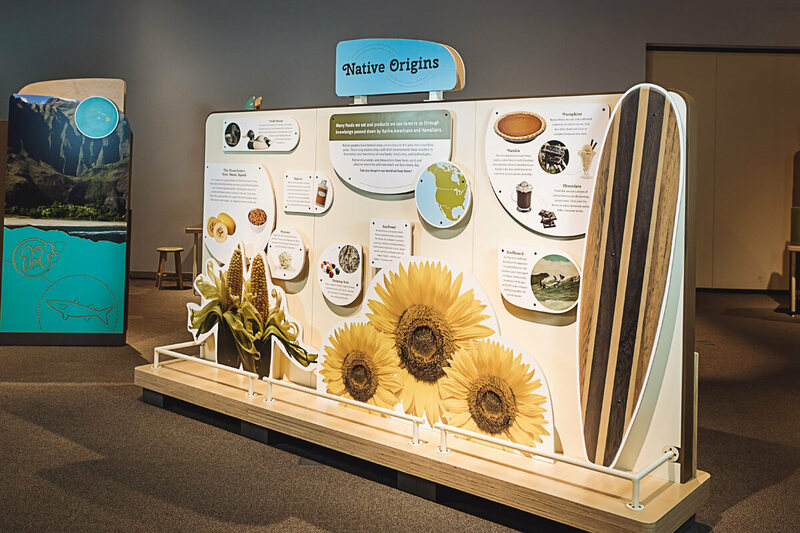 Visitors will view this display and realize that from duck decoys to surf boards, from chocolate to popcorn, native knowledge impacts our lives every day. 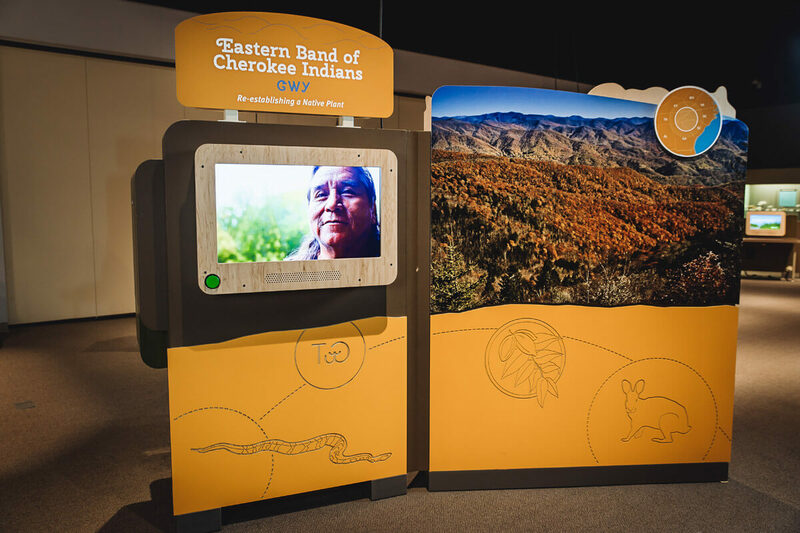 Passing a Tradition—Cherokee elders are teaching the next generation about this traditional craft. In reviving their culture, they may just be saving their local ecology as well. 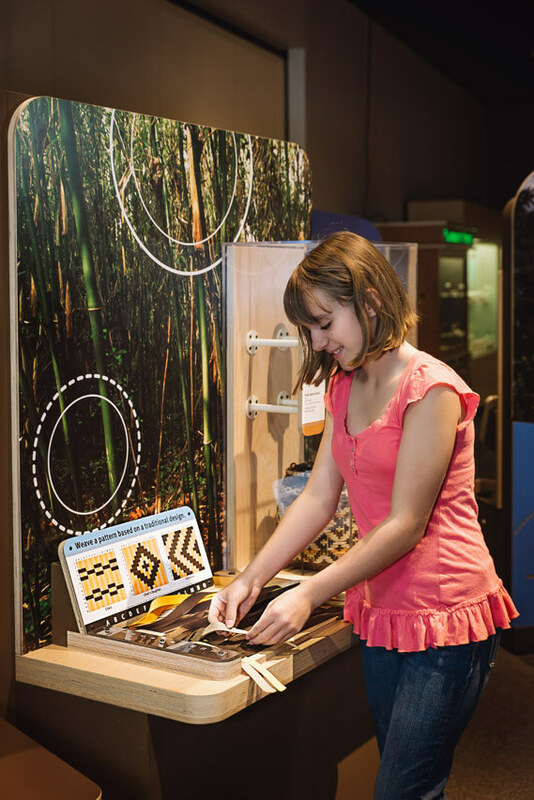 Visitors are invited to watch the video, view a display of river cane baskets, and try their hand at weaving. 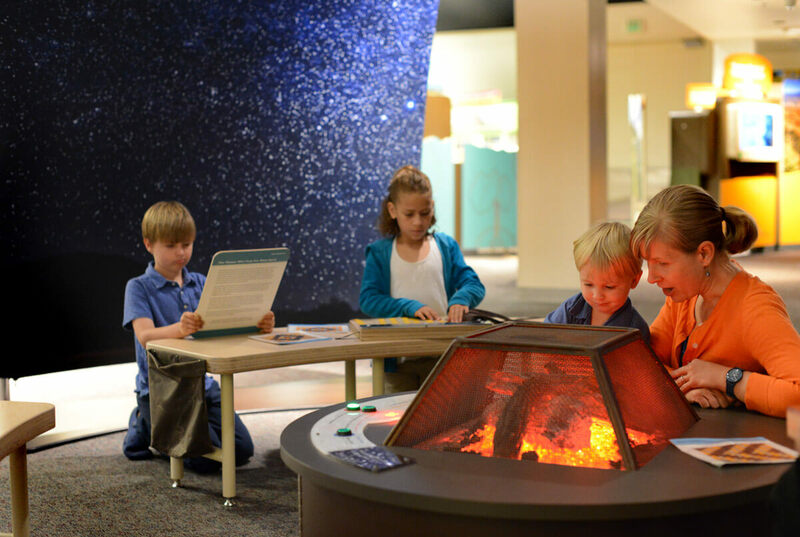 Story Area—In the Story Area groups engage in storytelling, either by listening to traditional Native stories around the “fire pit” or telling their own stories. 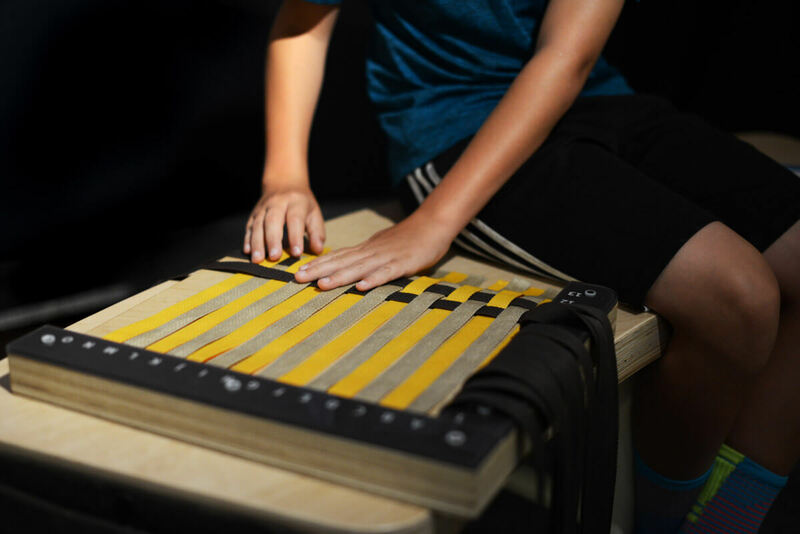 Guests can learn traditional weaving patterns around the fire with the weaving boards provided. Double sided panel surrounding the fire pit. 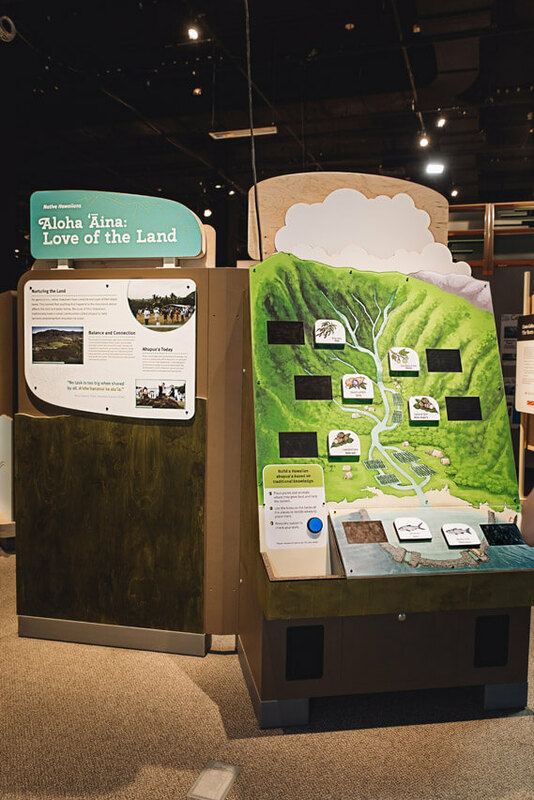 Aloha Aina: Love of the Land—Visitors join a stream of water on an incredible journey down a Hawaiian mountainside in this popular interactive activity. 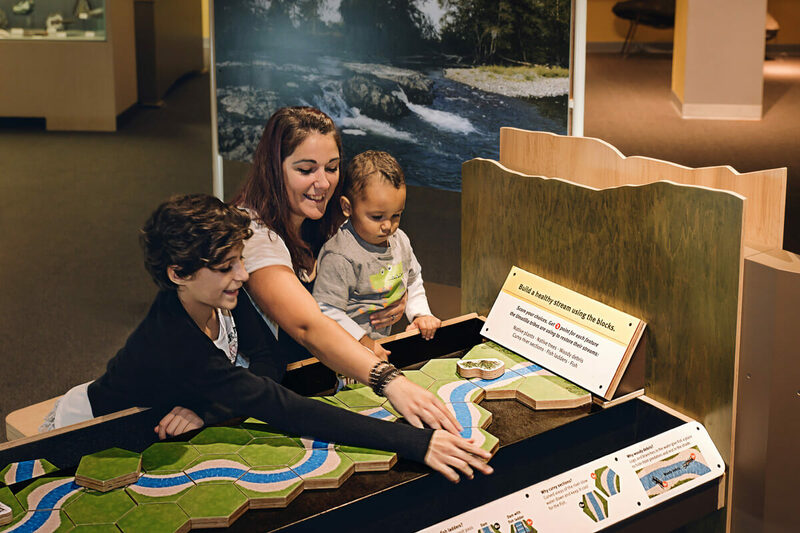 When puzzle pieces are positioned correctly, visitors will be surprised by simulated sounds of thunder to tell them they were successful. 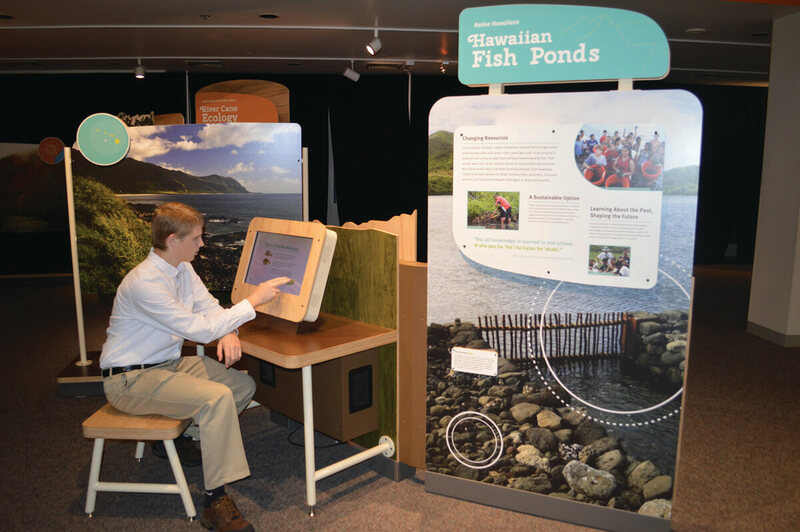 Hawaiian Fish Ponds—This exciting video game becomes more challenging as the player gains knowledge. 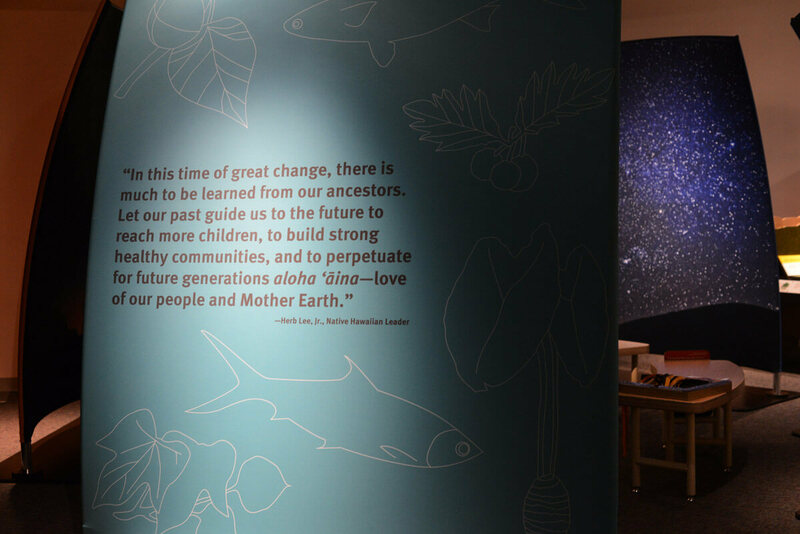 In Hawaiian Fish Ponds, visitors act as caretaker of a fish pond, bringing the pond back to restored health. 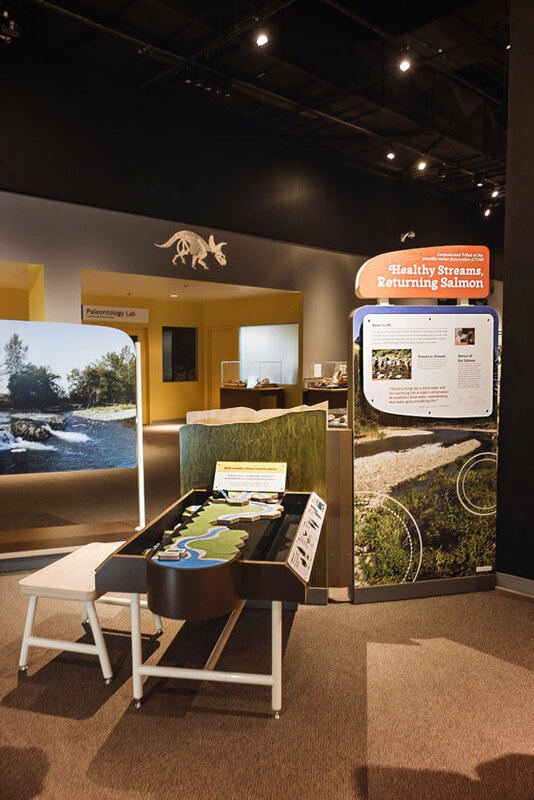 Healthy Streams, Returning Salmon—Using durable, magnetic building pieces, visitors gain points for joining puzzle pieces together and adding features found in nature to create a healthy stream system. 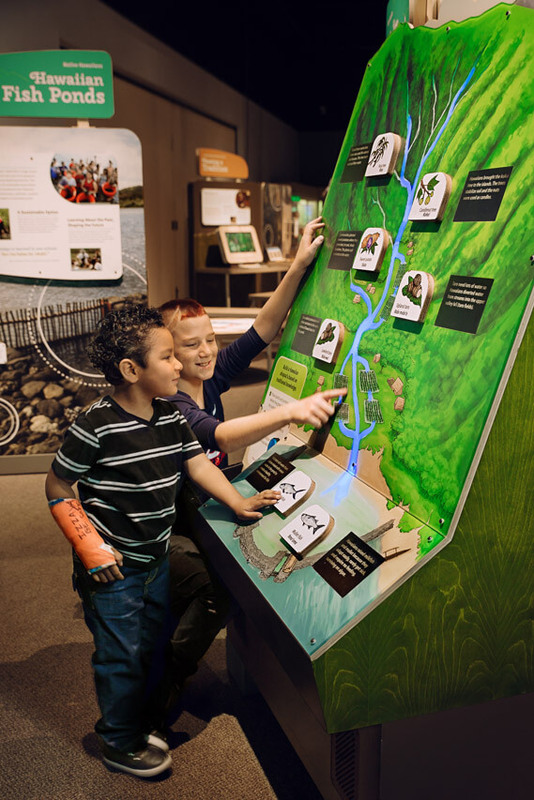 Players learn how traditional ecological knowledge and Western science are working together to support a healthier future for aquatic life. 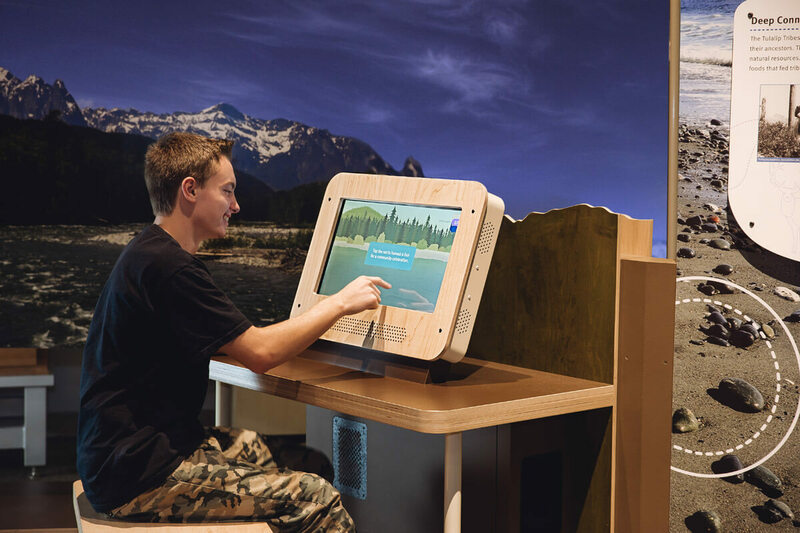 Connected to the Land—In a clever computer interactive, players journey through the seasons to harvest native foods in three mini-games. 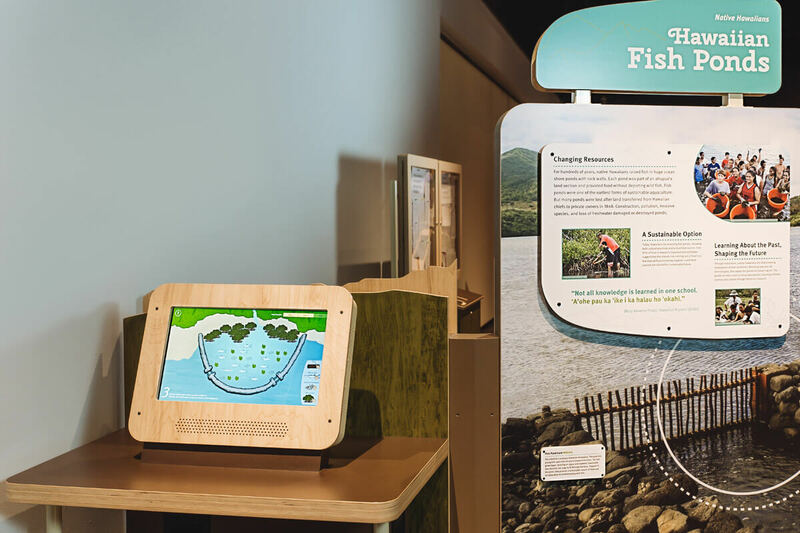 In spring, dig for clams; in summer, pick native blackberries; in fall, catch salmon. 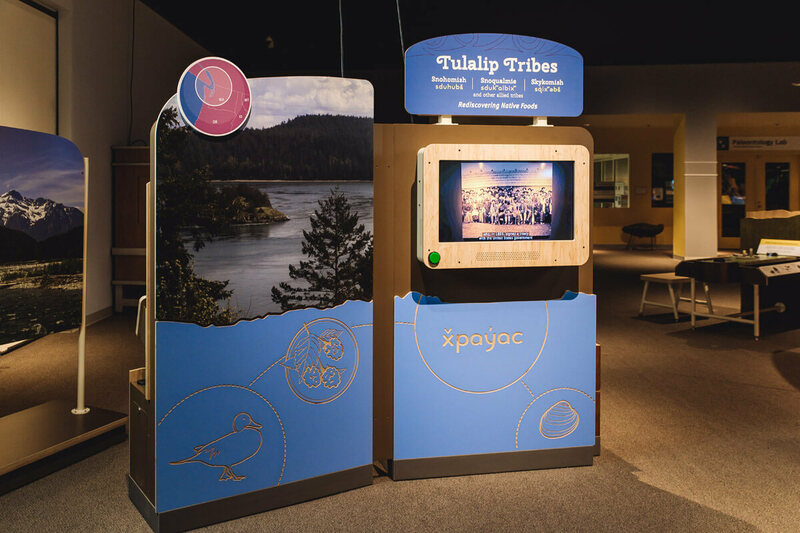 In winter, visitors may listen to a traditional story or song from a member of the Tulalip community. 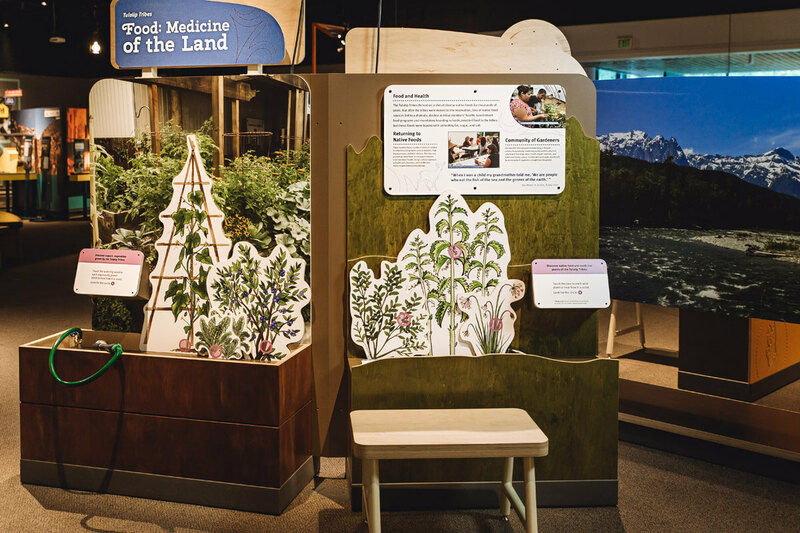 Food: Medicine of the Land—Visitors learn traditional practices of wild harvesting as well as modern gardening. 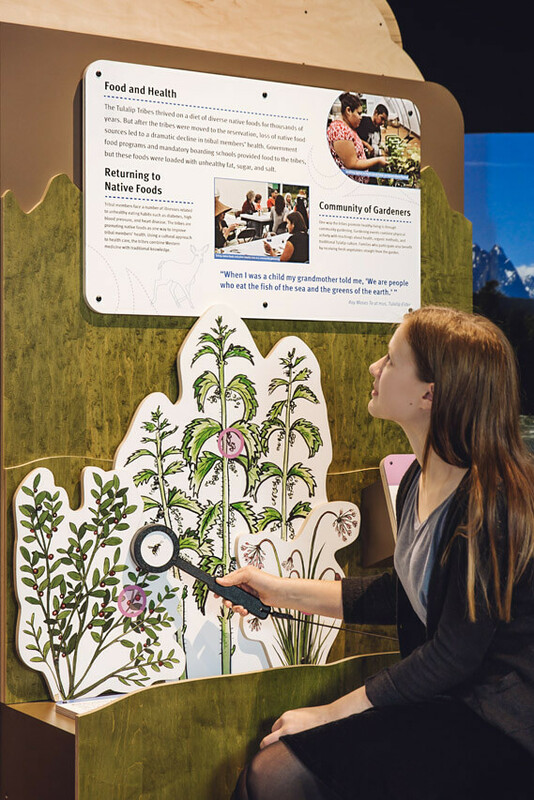 Visitors may touch a watering wand to garden plants or a bee to wild native plants. 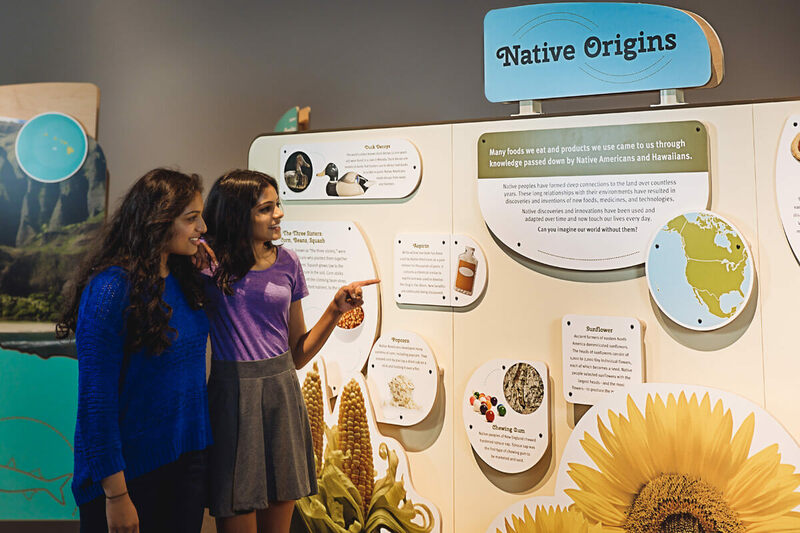 Learn through science, how eating locally grown foods and native food plants are beneficial to human health. 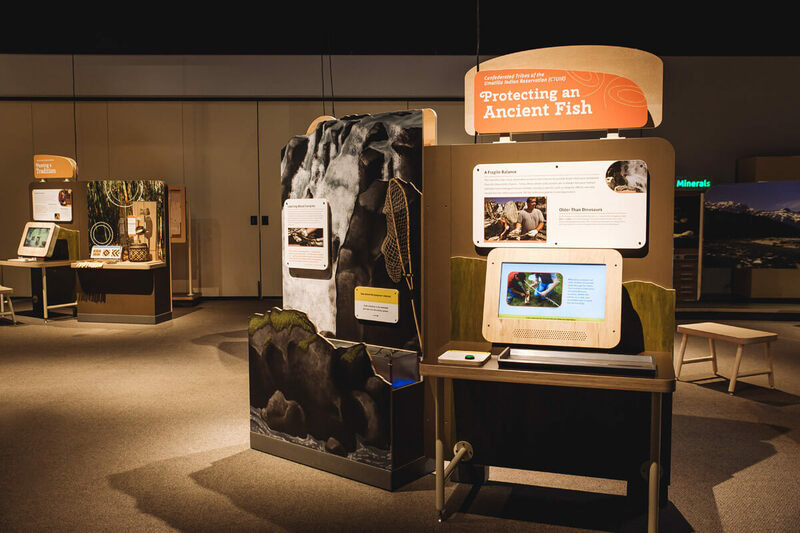 A collection of PDFs and guides for museum staff and teachers to expand on the educational content of the exhibit, including in-classroom experiments and activities for your museum floor. 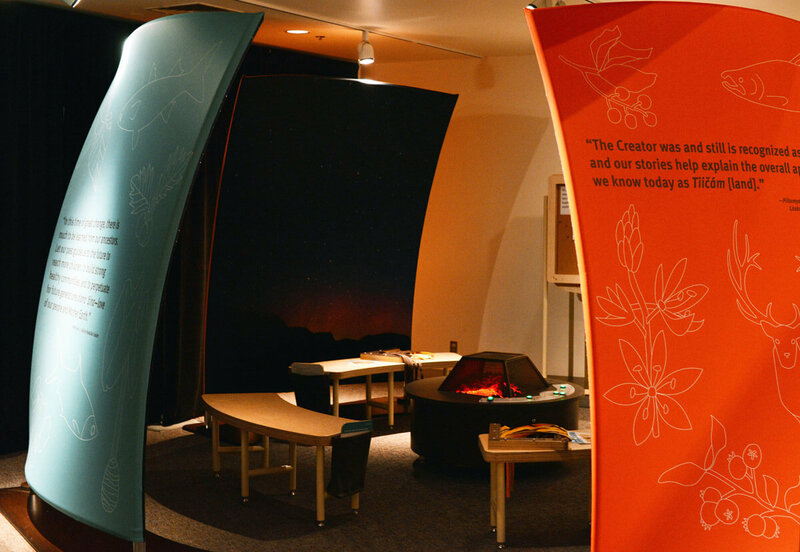 This sample floor plan gives you an idea of how Roots of Wisdom will look in your gallery space. 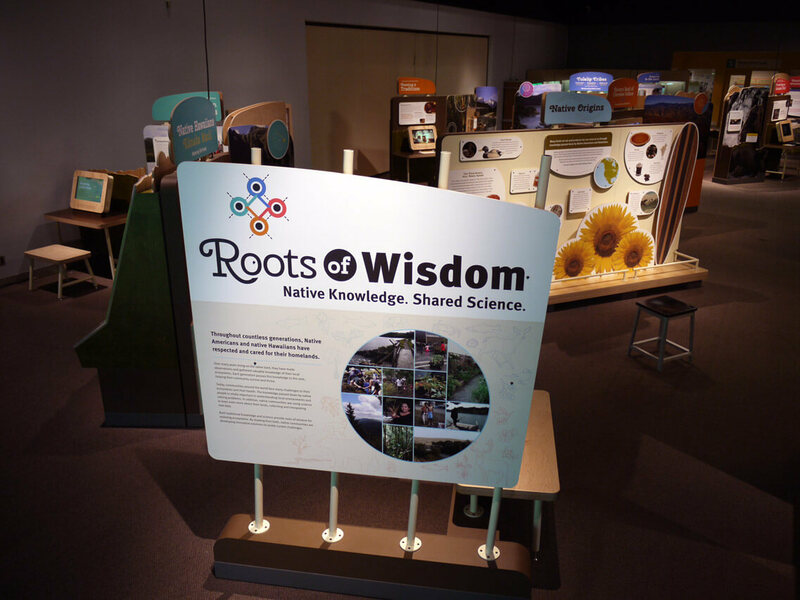 A printable fact sheet about Roots of Wisdom. Tour Schedule for Roots of Wisdom. 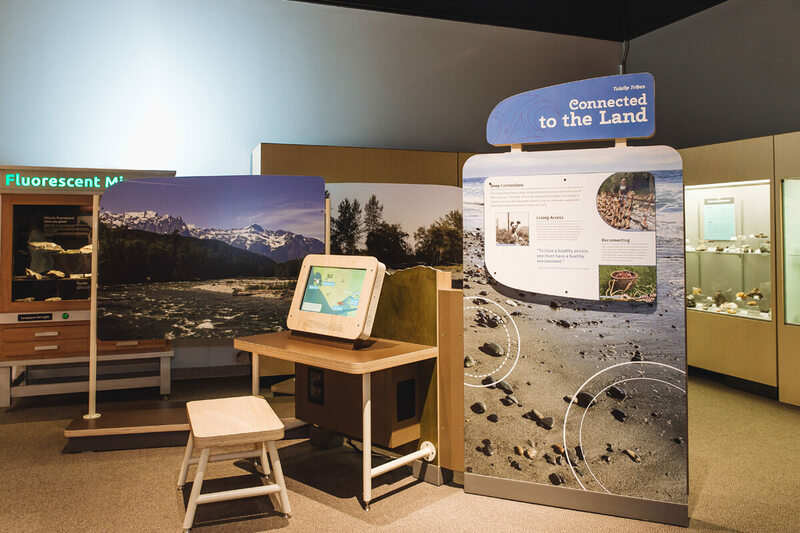 Check out OMSI's Roots of Wisdom website to learn more about the exhibition, Native ecology, and watch the videos included in the exhibition. 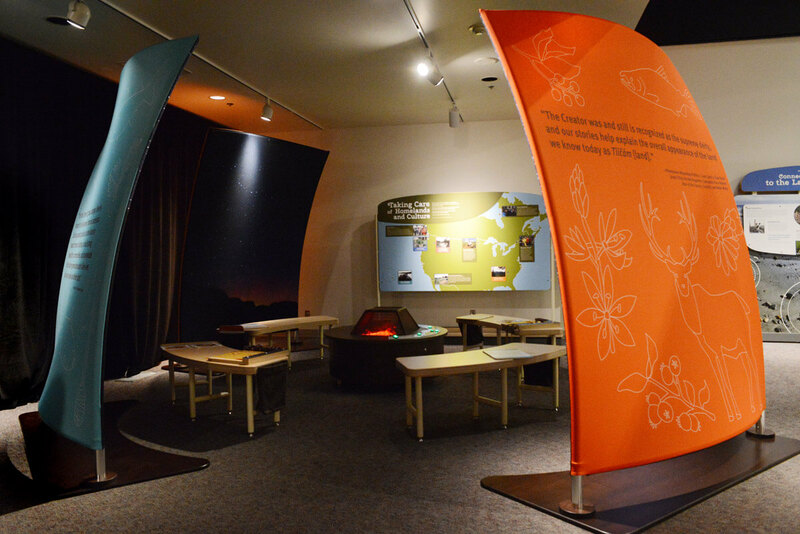 All the logos, images, and assets you need to properly market the exhibit, promote sponsors, and get guests excited about their visit! Collaboration With Integrity. Exhibition journal article, Fall 2016. 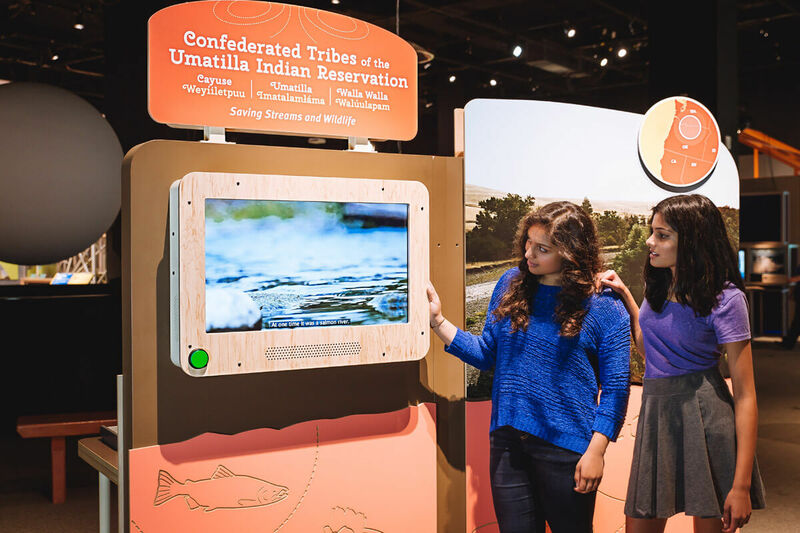 Unlike many museum exhibitions about Native American life and culture, the project is not built around a collection of objects or artworks, and does not present and interpret traditional lifeways. 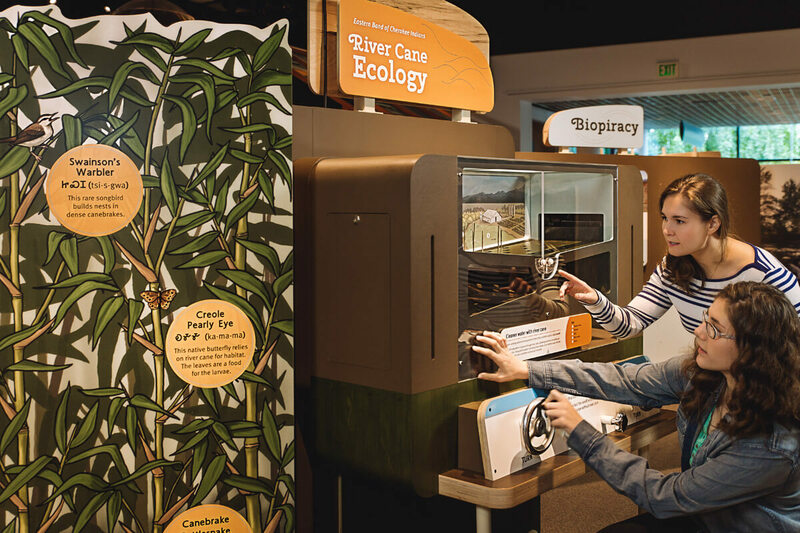 Roots of Wisdom is an interactive, science museum exhibition about contemporary ecological and cultural restoration. 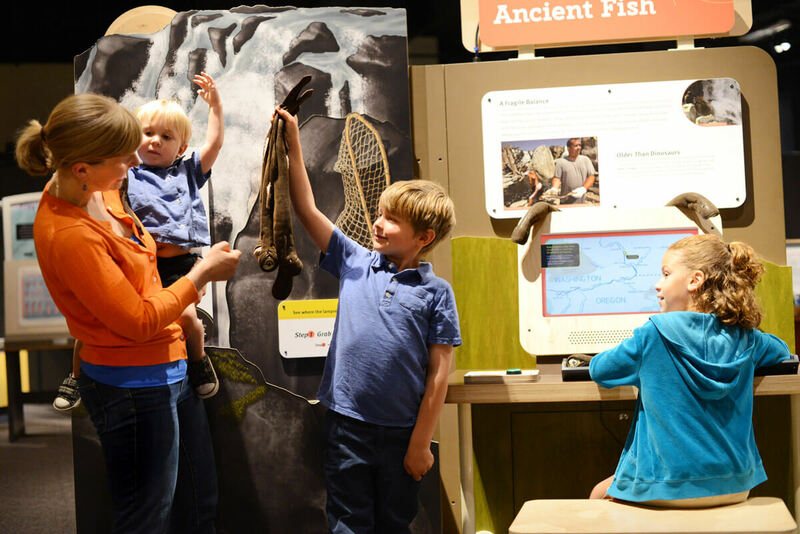 We're here to help you create experiences that will inspire audiences. Allow us to introduce ourselves! Roots of Wisdom: Native Knowledge. Shared Science. 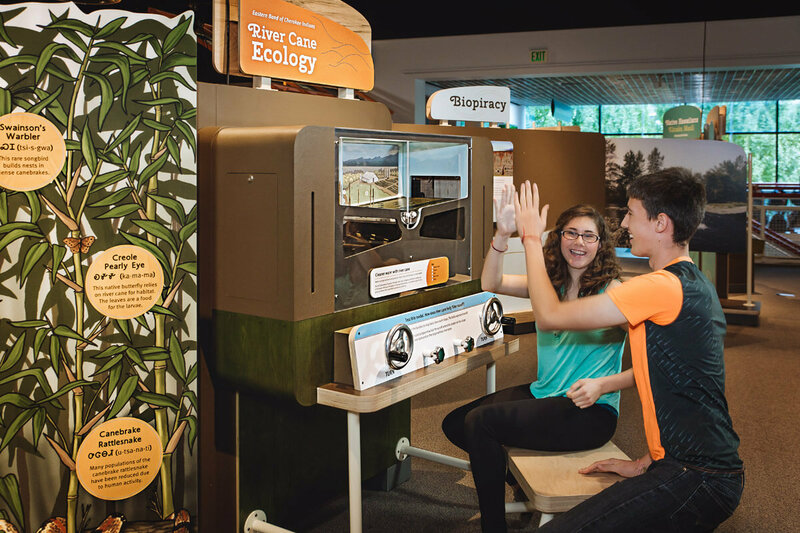 was produced and is toured by the Oregon Museum of Science and Industry (OMSI). 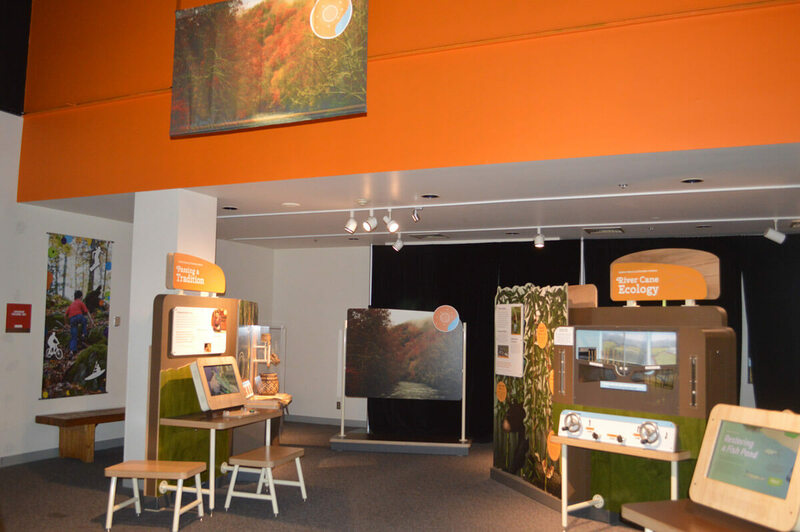 The exhibit was made possible with funds provided by the National Science Foundation (award number 1010559). Let us know what you're interested in, and we'll follow up shortly!